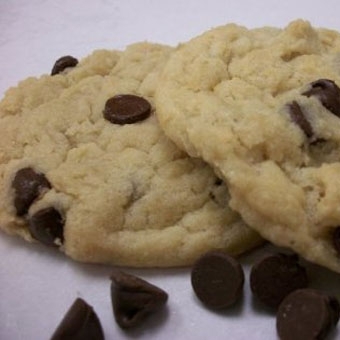 Our Chocolate Chip cookies are thick, soft, and chewy. We use pure cane sugars, both brown and white, farm fresh eggs, special patent wheat flour, pure vanilla custom blended for Blondie’s Cookies, and rich creamy semi-sweet chocolates to make these can’t-eat-just-one morsels. Size: -- SELECT -- Chocolate Chip Cookie 12 ct.Chocolate Chip Cookie 24 ct.Chocolate Chip Cookie 36 ct.Chocolate Chip Cookie 72 ct.Chocolate Chip Cookie 108 ct.